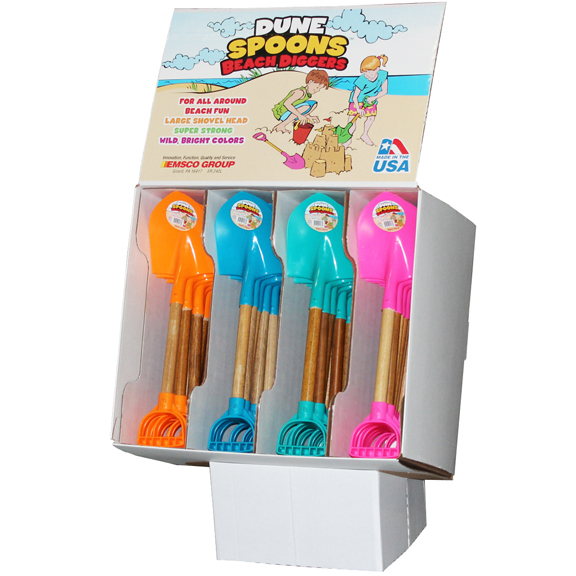 With the wild colors and durable, long-lasting construction, Dune Spoons will appeal to beach goers of all ages. Beachcombers, castle builders, hole diggers, barbecue pit diggers and more will find Dune Spoons the excellent choice as the all-around beach tool. The contemporary colors and design of the product, the label, and the coordinated shipper/display will attract the attention of your customers - young or old.